It's always tough deciding where to go for Sunday brunch after church with my cell group friends. 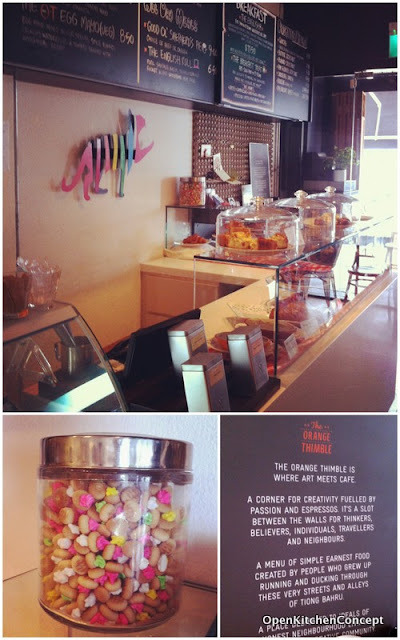 One Sunday last month, we decided to visit Orange Thimble at Tiong Bahru. I like Tiong Bahru - there are lots of interesting cafes and shops and the market is great.. But parking is horrendous. As usual, it took us a while to get a parking lot. By then, even though we've made a reservation at Orange Thimble, we ended up sitting at the semi-outdoor area right at the back which had no air conditioning... Oddly enough, the cafe seems to have very few tables.. though quite a number of chairs. I liked the overall set up of the cafe in front - the decor and sitting is pretty cozy. The big bottle of sugar biscuits invoked lots of childhood memories. These are my favourite biscuits when I was young. The semi-outdoor area is a little stuffy for me, even though they had a fan there. The food is good. I shared the English breakfast with the husband, whcih came with eggs, sausages, bacon, sauteed mushroom, roasted tomatoes with toast for $11.50. 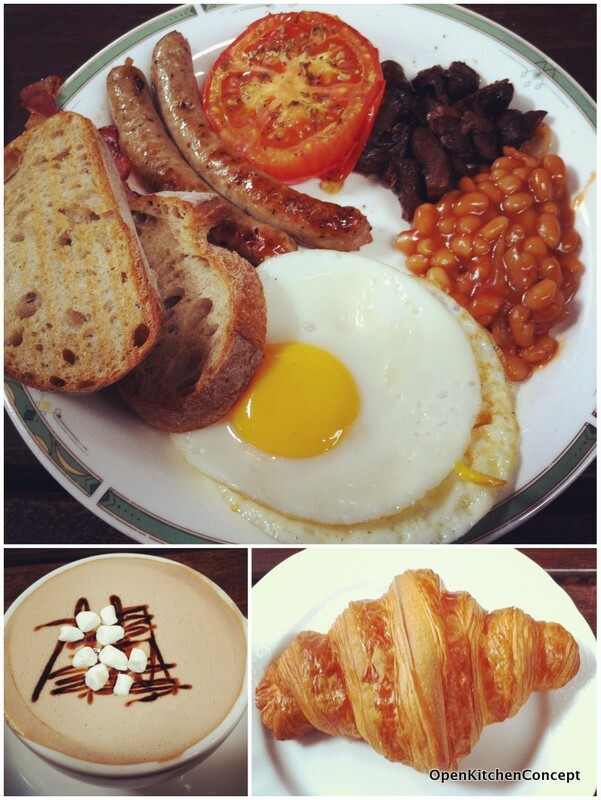 The croissant (ordered separately) was impressive. It's surprisingly good for a cafe that does not seem to bake its own bread.. I like it even better than some of the croissants at specialty baking stores. I wanted to compare it with the new Tiong Bahru Bakery that is just next door.. but the long queues at that bakery was too much for me.. This is a nice place for a Sunday brunch.. It's also nice to wander around the area after brunch. Go earlier to grab parking spaces though. jewellery and other knick knacks like utensils and books..
You describe the place beautifully! But be very good place! Kong, it's a really nice place to stay around!